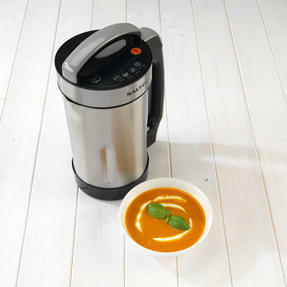 Make delicious soup for the whole family using this Weight Watchers soup maker with automatic settings for puree, chunky and blend. Measuring 21.9l x 15.8w x 33.5h cm, it has 1600 ml capacity and a stainless steel jug with a pouring lip so you can easily serve without mess. 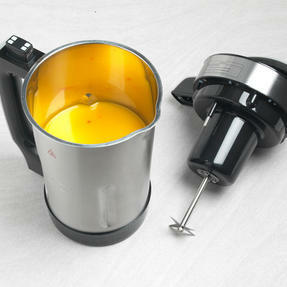 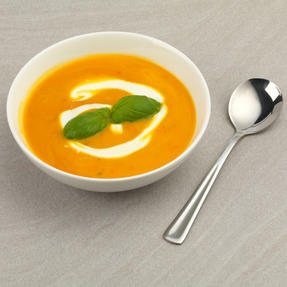 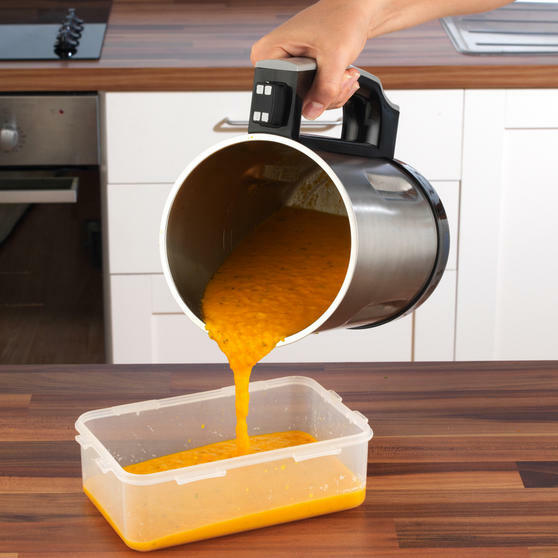 Simply add your ingredients and select the setting you require; the intelligent control system prevents overspill and dry burning so you can press and forget, and in 20 to 30 minutes you will have healthy homemade soup. 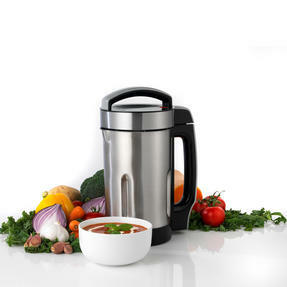 The perfect winter warmer, you can cook deliciously healthy homemade soup and stay on plan with this Weight Watchers Soup Maker. With a generous 1.6 litre capacity, simply top up the stainless steel jug with fresh ingredients and serve hot with the easy pour lip. 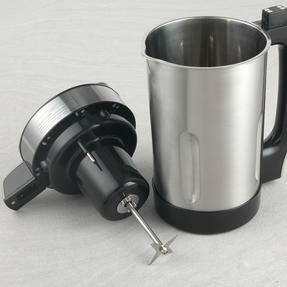 It has four automatic settings for making smooth blend, puree and chunky soups, as well as an auto-cleaning feature for convenience.